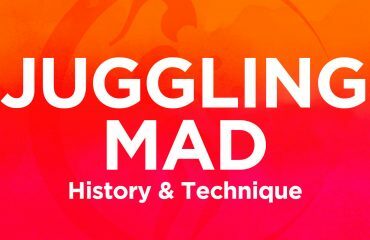 HISTORY: The craze that went crazy. The modern hoops we use today were invented back in 1958 but spinning hoops around parts of the body has been going on for much longer, all around the world. Although its exact origins can’t be pinpointed, the movements of Hula hooping and using a hoop in dance were present in cultures around the world including the Native Americans and 18th century Hawaii. In fact, the name Hula comes from the Hawaiian dance. FACT: In 14th century England Hula hooping was utilised by Doctors to treat patients suffering from various pains, dislocated backs and even heart complaints. The Hula hoop has had its fair share of dislikes throughout its journey. It was vilified in Indonesia by toy companies who disliked its power to ‘awaken sensuality’. In Japan it was outlawed in the street after it was believed to lead to traffic accidents. However despite its opposers the Hula hoop remained strong. The Hula hoop has now become a gold standard in displaying acrobatic prowess the world over. 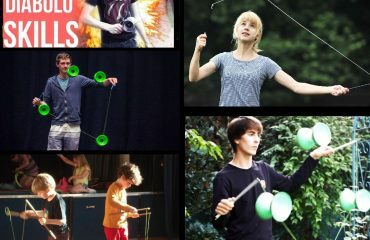 These days it’s not unusual to see someone using multiple hoops all across their body or combining this with forms of juggling or balancing activities. Health and fitness groups use hooping as an accessible exercise that’s fun and physically rewarding. It’s gone through many resurgences in popularity since its worldwide spread in the 1950’s but the Hula hoop is very firmly here to stay. Did you know 30 minutes of hooping can burn 210 calories! The health benefits of regular Hula hooping include losing weight, toning and sculpting your abdominal muscles, improving your coordination, increasing your fitness level and improving the flexibility of your spine. And the benefits of hooping don’t just stop at your body. There are numerous mental advantages that come with hooping. In today’s world we’re bombarded with distractions so putting your phone down and focusing intensely on hooping to the exclusion of everything else is a meditative activity that’s been shown to elevate mood levels and reduce stress. As a low impact form of cardio exercise, hula hooping can be practiced by almost anyone and due to its minimal equipment requirements, it can be practiced almost anywhere! Spinning a hoop around your body, sounds easy, looks easy and after a few tries, it is, but following our guide might get you there just a little bit quicker. First things first, the hula hoop. We cover all the options available below but for now let’s cover the basic model and the most important thing- finding the right size. Stand up straight and measure the distance from the floor to your belly button- this measurement is the diameter of the hoop you require. PRO TIP: Most adults begin with a hula hoop between 39 and 44 inches. Hoops that are larger and heavier are easier for beginners due to the momentum keeping them up. You’ve got your hoop, it fits, its round, you’re ready to go. Once you’re stood in your hoop. Put one foot in front of the other to give yourself more stability. Hold the hoop just above your hips and relax it against one side of your torso. Spin the hoop- if you’re right handed firmly spin the hoop anti clockwise and if you’re left handed spin it in a clockwise direction. Naturally you’ll want to react to the hoop by moving your waist in a circular motion but you should just move your torso back and forward. Push your stomach forward as the hoop moves across your stomach and push the hoop back when it moves across your back. Now you’ve mastered the movement keep spinning and allow your body to learn how to react to the hoops changing tempo and pressure. Don’t let a few drops and slips break your confidence, this is bound to happen when you’re starting off. As you get more used to the feeling of it slowing down, you’ll learn how to counter it and bring it back up to your hips. Check out the video below for a more detailed breakdown on how to start Hooping. 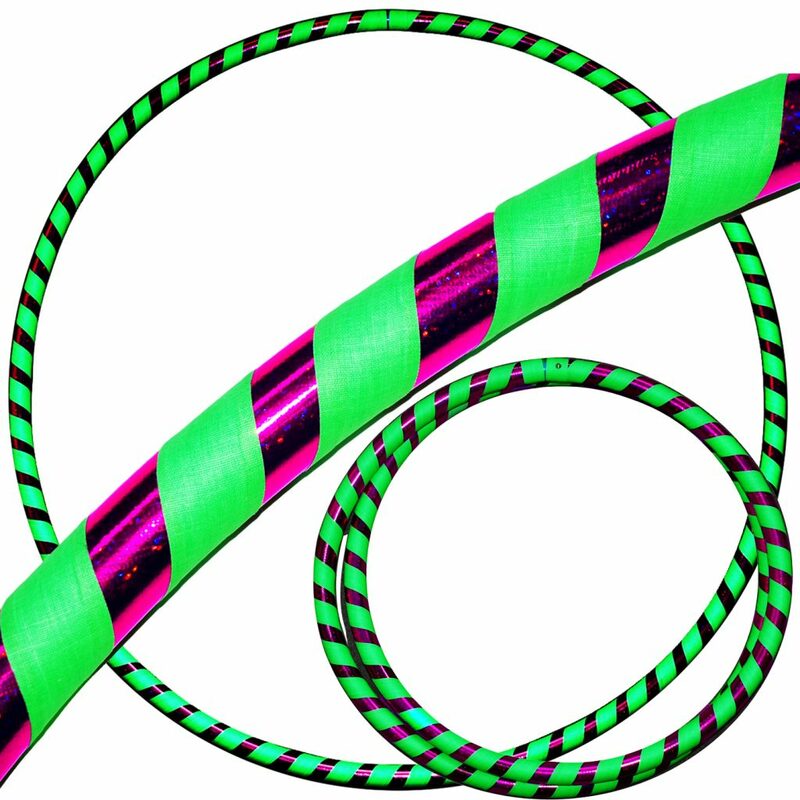 Available in a huge range of colour combinations these are the classic Hula Hoop. The different diameter and tube thickness options make them accessible for all body types and ages. 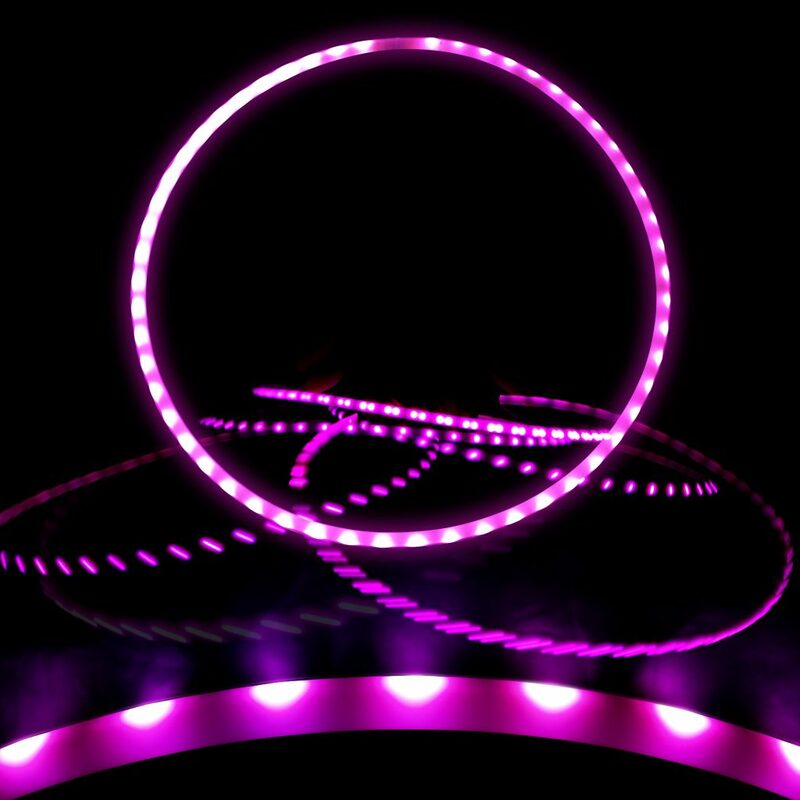 Typically, the smaller diameter and thinner hoops are for kids however adults looking for a lighter hoop may choose a thinner Hoop in a large diameter. Due to demand a majority of these are now manufactured in a travel version that fold up to half the diameter ensuring easier transport but retaining the strength of a fixed hoop. 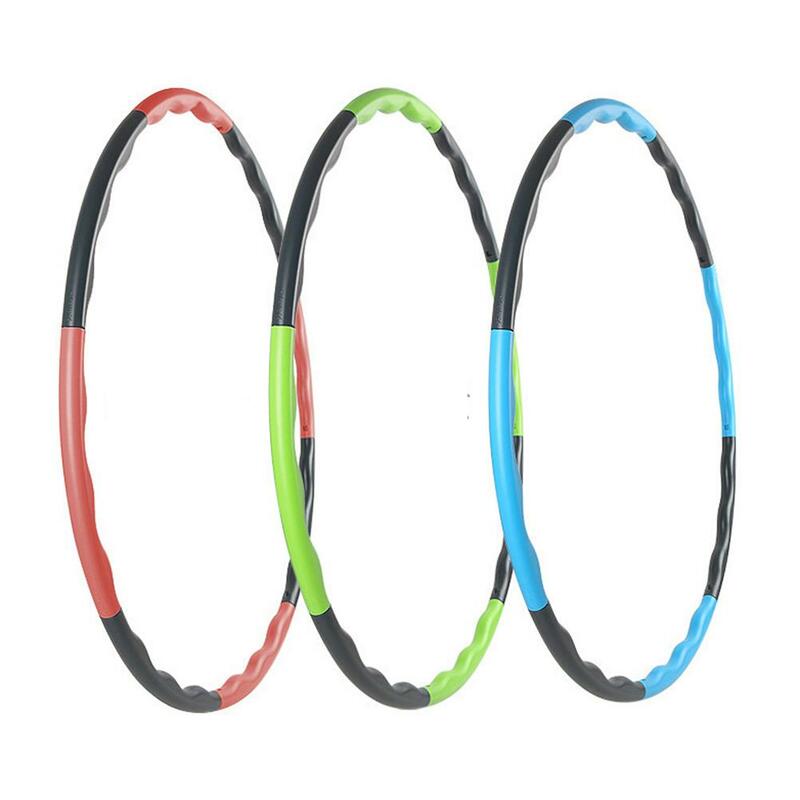 These hoops are available in multiple Hula hoop weights to increase the challenge on your abs and strengthen your core. More weight builds up more momentum but it takes more strength to get them spinning. If you’re looking to get fit through Hula hoop then this is the type you’re after however we would recommend getting to grips with a lighter model first to learn the technique. The 21st Century evolution adds light displays to the affair. Available in a range of multiple modes and effects, rechargeable and battery operated, remote controlled and button operated. These hoops add another dimension to any performance. 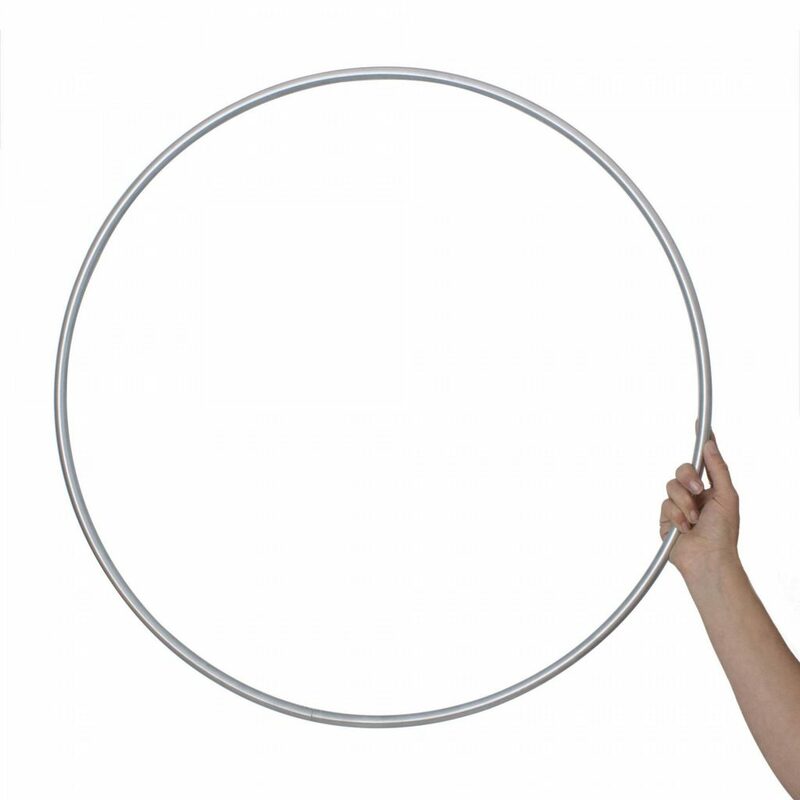 These smaller hoops are for creating mesmerising displays of manipulation outside the body. Similar to contact ball manipulations they can be moved in ways to look as if they’re hovering in the air. 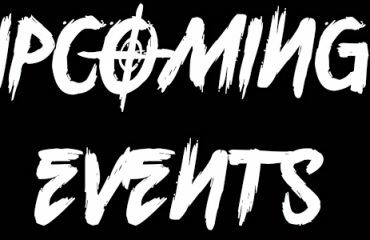 They can be found in multiple colours or in a very polished metal perfect for stage performances. These add an element of danger and intrigue to your spins. 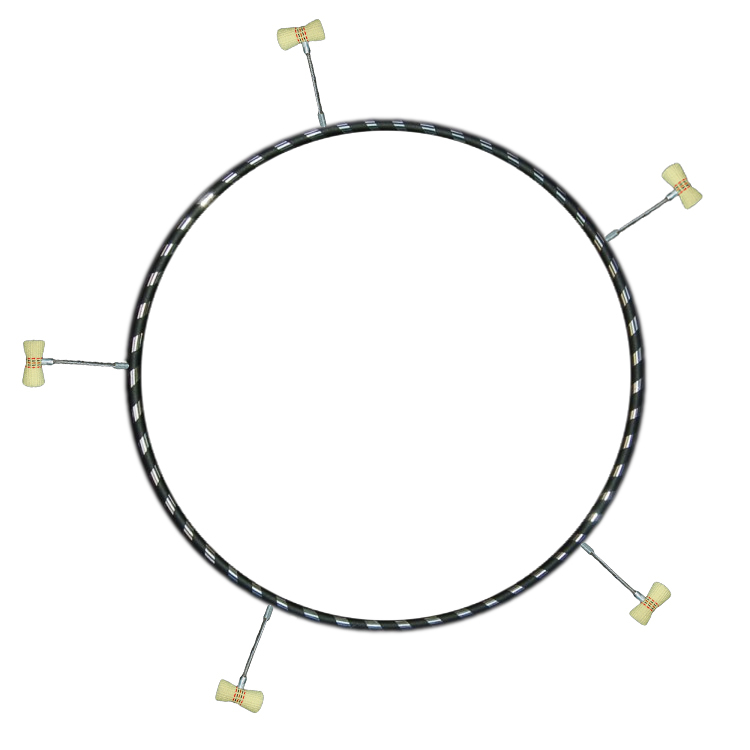 Fire hoops can be used for conventional spins and manipulations. Although the fire wicks are on the outside of the Hula hoop there is still a very real element of danger so these should only be used by people well trained in the use of fire props. 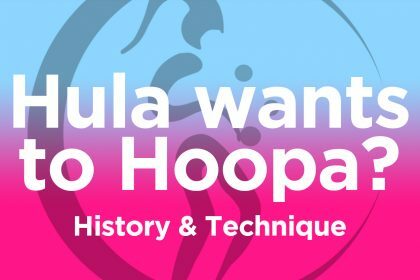 Now we don’t expect you to have this mastered in one afternoon as learning to Hula hoop takes time but have a look at this mind-blowing example of what’s possible! 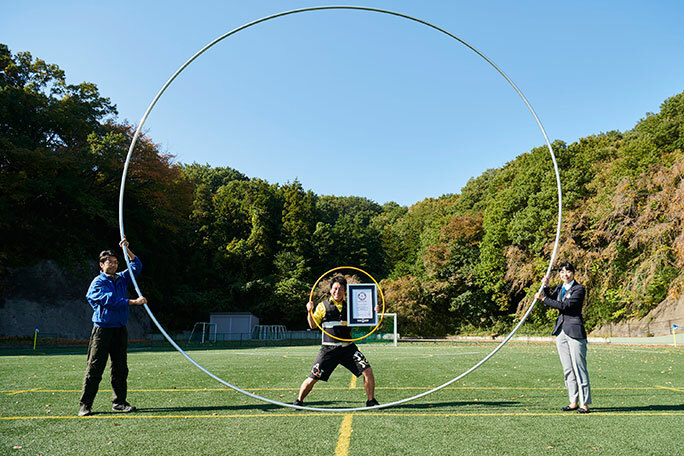 The Guinness world record for the largest hoop spun is held by Yuya Yamada known to his friends as ‘Hoopman’. The hoop measured a whopping 16 foot 10 inches in diameter!